Here at SinBin.vegas we spent a good portion of the summer teaching you about stats like PDO, GVAA, Corsi For, and others. Now, it’s time we use those stats to crush your hopes and dreams. It’s no secret the Golden Knights aren’t going 82-0, despite the fact that I’m planning on tweeting it and #CupIn1 until it’s not possible anymore. However, the question, is this team a lot better than we thought, is a fair one. 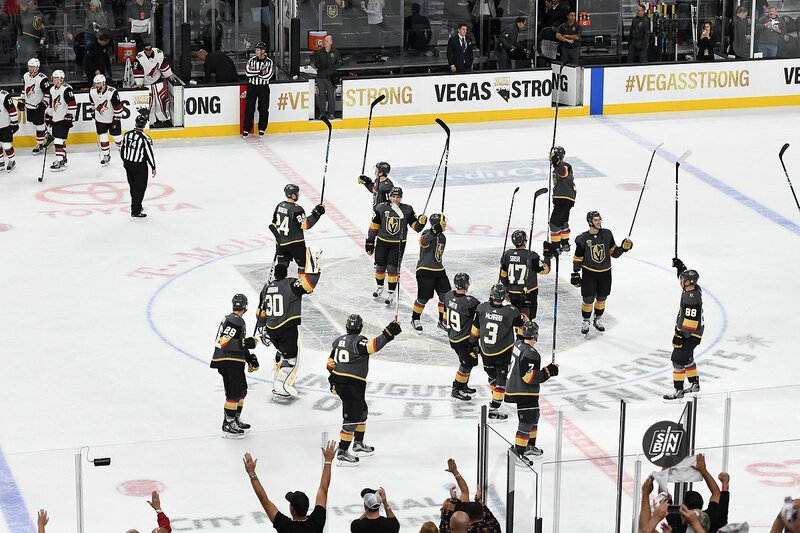 So let’s dive into some stats to try and give us a sneak peak into what might be coming up in the near future for the undefeated Vegas Golden Knights. Starting with the most glaring, PDO. In short, the idea of PDO is that most players and teams will end up at 100 over the course of a season. Currently, the Golden Knights have ONE player with a PDO under 100. One effing player after three games, that’s madness. Reminder: Anything over 103 is really good. Anything over 107 is unbelievably good. The Golden Knights have nine players above 107. PDO also shows us that seven different Golden Knights have not been on the ice during any of the opposing team’s goals (100% oiSV%). Unfortunately, since I highly doubt this team has 17 Gretzky’s and Colin Miller, these numbers are likely to come crashing back down to reality and soon. The main reason for the insane PDO numbers is the play of the guy between the pipes. Marc-Andre Fleury‘s save percentage is 96.3% through three games. He’s allowed just four goals on 107 shots. The good news is that his GVAA, which is currently 5.55, is sustainable. Fleury has had four full seasons with GVAA‘s much better than 5.55. Finally, the Corsi For Percentage. These numbers actually aren’t too crazy. James Neal’s 62.0 CF% is pretty ridiculous, but aside from him, more players fall under 47% than over 51%. This is the reason the PDO numbers are so high. This is a good sign for the future as those numbers are likely to come back to 50% as the season goes on. So what are we trying to say here? Well, first the stats say the Golden Knights skaters are playing way above their heads. How far over their heads, that’s still yet to be seen.